The T-8 Ultra-Violet filtering clear polycarbonate tubeguards have 0% transmittance below 395 nanometers and come in 4' lengths. 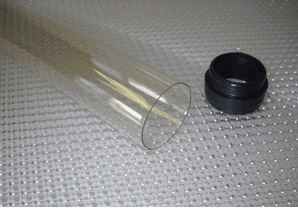 Tubes are intended for use in museums, art galleries, libraries and other areas where U.V. degradation is critical. Pair of endcaps included.